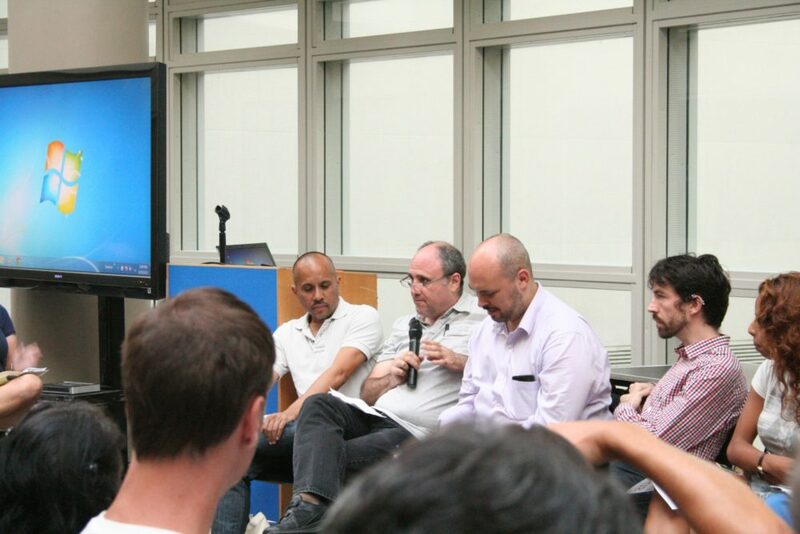 On August 22, 2013, Visual AIDS along with the Pop Up Museum of Queer History and the Center for Lesbian and Gay Studies, held a public forum entitled, (re)Presenting AIDS: Culture and Accountability. The event was recorded and transcribed. Panelists we invited to present a short statement about their work related to AIDS, art, and representation. Below, filmmaker Jim Hubbard starts off speaking with moderator Ann Northrop and then goes on to speak about his experience touring United in Anger, and why victory can be claimed by some. JIM: I have to say, I feel completely unprepared. ANN: Oh come on Jim! You have opinions about the representation of AIDS. JIM: I have been thinking about this for thirty years. The reason I feel unprepared is I have been curating these screening for the NYPL exhibition in the fall and I find that spending two days in the Brooke Astor Rare Books Reading Room watching memorial tapes, and watching sixteen hours of these tapes is more than I ever wanted to see in my life. Going back there and seeing them again has actually been interesting. Phil Zwickler’s memorial, which I remember as an emotional nightmare, comes off great on tape. But others I remember as being really moving are just incredibly weary. These questions have been brewing around since the beginning of the AIDS crisis: Who gets to tell the stories, who gets to define it? And we have been fighting for something. There is that cliché that history is told by the victors, and I feel that in a real sense, people with AIDS and ACT UP were the victors in this. We are the ones who should be telling the story. In a certain way, these institutions are fighting back and what it reminds me of is, one of the questions I get from time to time when I show United in Anger is, "What about the other side?" And it is a question that really threw me for a while because there is no other side. They were wrong. We have to say that over and over again. Those people who are wrong are going to try and reinvent the story to make themselves look better. And in a way when Jason asked the question "Who are we?" it is hard to answer the question, who are we? But I think we know who they are. And in way that has been the story of the AIDS crisis. We know who they are. And I guess that is it, except to say my whole life has been a critique of institutions and when institutions ask me to curate something, they want that side, and the story I have to tell, I have this responsibility to tell the story of all my friends who died. That is my responsibility. And that is what I have been doing for 25 years.